Built in cast iron and plate glass, the Crystal Palace was first sited in Hyde Park to house the Great Exhibition of 1851. 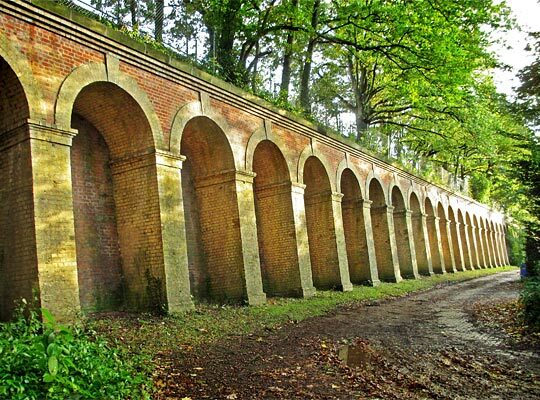 Designed by Sir Joseph Paxton, it measured 617 yards in length, with an interior height of 128 feet. 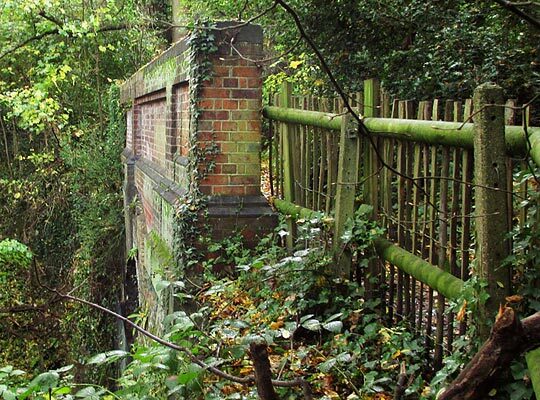 Soon after, this remarkable structure was dismantled and re-erected at the top of Penge Peak next to Sydenham Hill, opening in 1854. Whilst incorporating much of the original structure, the central transept was both larger and higher, with two additional transepts at either end of the main gallery. 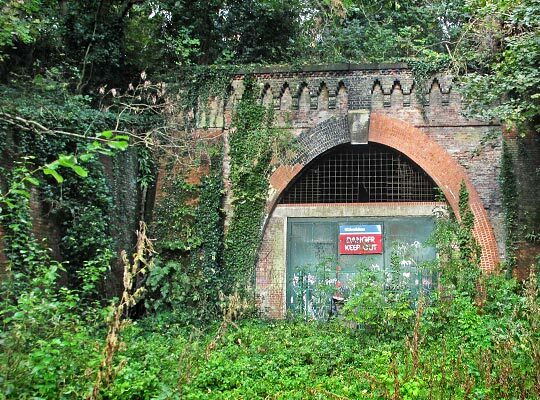 To serve it, the London, Chatham & Dover Railway promoted a branch in competition to one opened in 1856 by the London, Brighton & South Coast company which included a Low Level station. The branch, with its grand High Level terminus designed by Edward Barry, was brought into use on 1st August 1865 and known as the Crystal Palace & South London Junction Railway. Unfortunately traffic levels proved modest. The route - with its ruling gradient of 1:78 - succumbed to wartime austerity, closing temporarily between January 1917 and March 1919. The Crystal Palace was destroyed by fire in 1936 and the line itself suffered bomb damage during the Second World War, closing again in May 1944. Although it reopened after two years, a further decline in traffic prompted a decision to close the branch on 20th September 1954. The terminus was demolished in 1961. 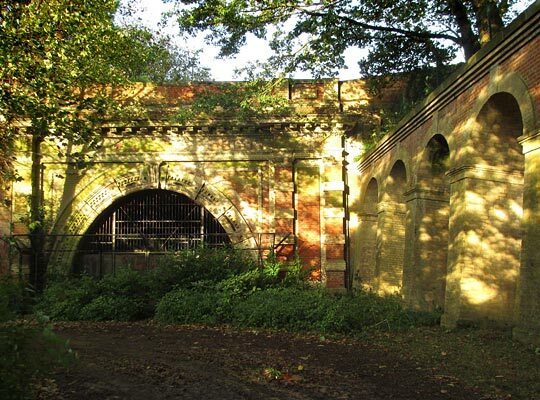 For all its shortfalls, the line was substantially engineered by F T Turner, boasting two tunnels - each around quarter-of-a-mile long - and separated by a similar distance. Upper Sydenham Station was located between them. 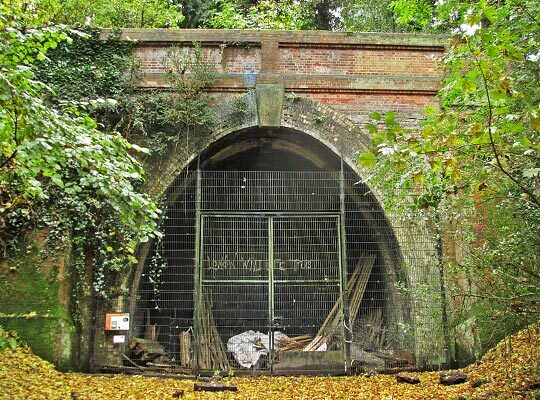 The northernmost tunnel took the name Crescent Hill and follows a straight alignment, the eight-brick ring face suggesting the tunnel was probably driven through comparatively heavy ground. It accommodated two tracks over a distance of 400 yards. Elliptical in profile, the structure is entirely brick-built except for the substantial keystones, copings and imposts above the buttresses either side of the entrances. 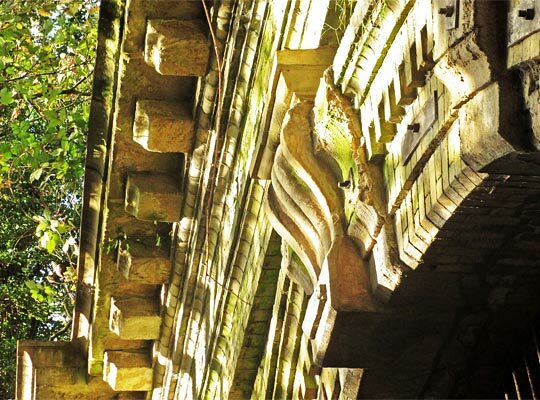 The portals boast much architectural detailing, particular at the southern end which looked out onto the station. 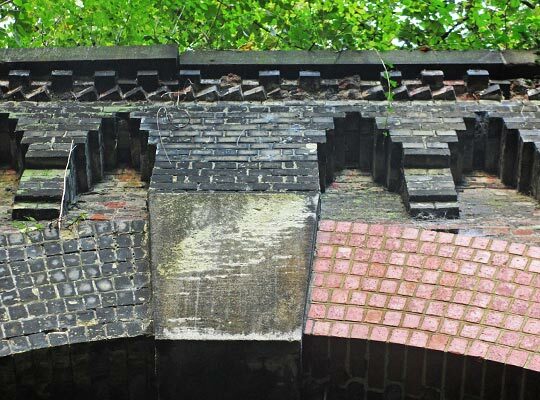 The same design was used at the north end of Paxton Tunnel, named after the Palace’s original designer. This follows an S-shaped course under Westwood Hill. 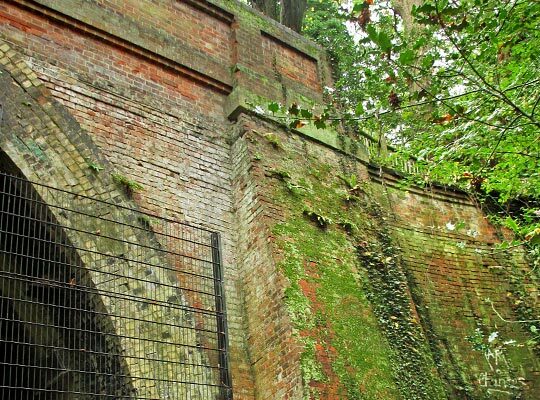 Considerable vegetation growth blights the portal although there is evidence of relatively recent brick repairs to the ring face. 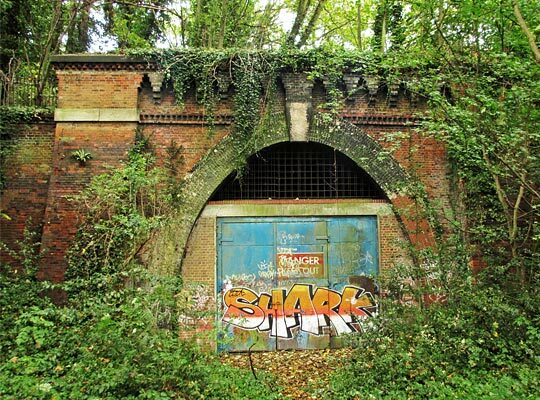 Lengthy triangular wing walls extend outwards, parallel to the trackbed on both sides. Visible from the former High Level station, the south portal is suitably grand, lavished in beautifully-crafted stone and brickwork. 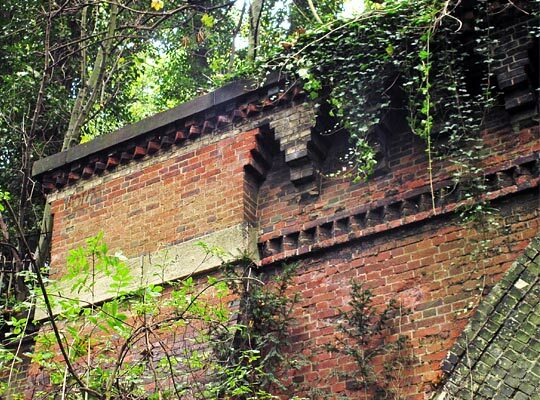 On its east side, below Crystal Palace Parade, is a retaining wall which extends for almost 500 yards and incorporates arches towards the tunnel end. Both Crescent Wood and Paxton were sealed with block walls and fencing in 1980s due to public safety concerns.